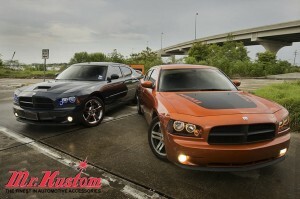 Want to make your vehicle stand out from the rest? Then take a look at Oracle Multi Color ColorShift Halo Light Kit. Go from MILD to WILD with the push of a button. The latest version of the ORACLE ColorSHIFT Halos features High-Powered 5050 RGB 3-Chip LEDs electro-soldered with computer accuracy to a 6-Layer Rigid PCB. This new version delivers brighter and more fluid light output than the original ColorSHIFT rings. Each 5050 Surface Mounted Diode contains three 3528 LEDs (making each LED 3x brighter than the LEDs on previous rings) one Red, one Blue, and one Green diode in each LED. This allow you to make consistent colors such as “pure” white without seeing the individual colored LEDs on the ring. This type of 5050 3-Chip LED is a high-quality SMD with a 50,000 Hour Lifetime Rating that has proven to work extremely in this application during our testing. This ColorSHIFT Halo Kit can produce any color including whites from 3000K-15000K with the push of a button. This allows the user to dial-in the exact color rings that they desire. Even if the color changing function is not appealing to the user, the ability to create the exact hue you are after is something that was not available until now. These 3-Chip 5050 SMD rings are BRIGHT, and for some they may be too bright, that is why (for the first time) the user has full control over the ring brightness. Customers have expressed their concern that the original remotes used the same RF frequency that is why we did away with RF altogether and now use an Infrared Wireless Controller System. Contact us today to have the Multi Color ColorShift Halo Lights Kit installed on your vehicle today! 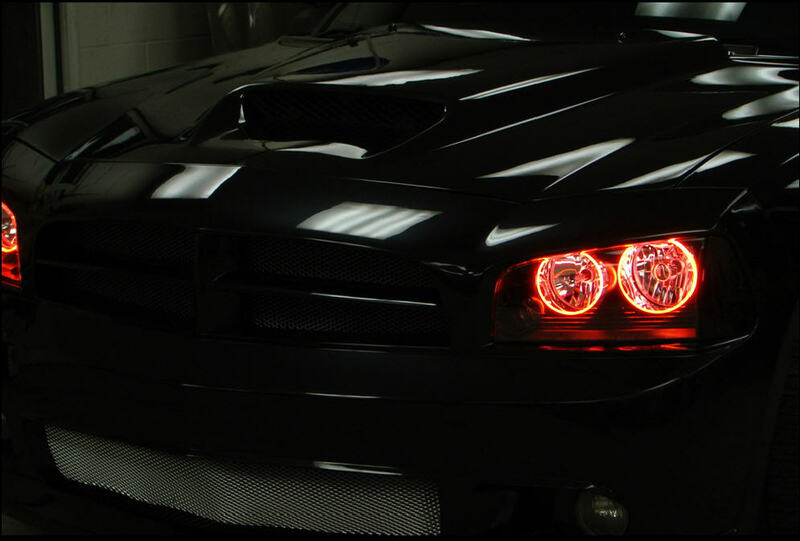 This entry was posted in Blog and tagged Angel Eye Headlight Rings, Angel Eye Headlights, angel eyes, car accessories, chip led, ColorShift, halo lights, Halos, high quality, Multi Color Halo Kit, Oracle, Oracle ColorShift Halo Lights, rf frequency. Golf Clothing Van is a Showroom on Wheels!